One of L.A.’s most anticipated craft breweries gets its own facility. 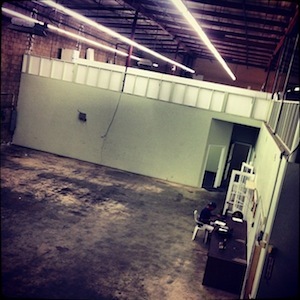 Phantom Carriage: Small Batch Beer Endeavor secured a lease on its own building in Carson on Tuesday, marking the next step toward bringing their liquid wares to market with more regularity. Phantom Carriage has been working out of the Monkish Brewing Co. facility in Torrance since September 2012, dialing in recipes and placing beer in barrels for later release. Co-owner and brewer Martin Svab hopes that they will be brewing in their new facility by early next year, pending approvals of their regulatory licenses from the local, state, and federal governments. “We’re meeting with the mayor next week,” says Svab. “We’re really happy with the location we found, and the city planners have been very supportive,” he adds. The new location—18525 S. Main St.—is located about one mile from the StubHub Center (formerly the Home Depot Center), home of the Los Angeles Galaxy and Chivas USA, and it’s also less than 10 minutes from other South Bay breweries like Monkish, Smog City Brewing Company, Strand Brewing Co., and The Dudes’ Brewing Company. The facility will serve mainly as a taproom and cafe, offering beer alongside sandwiches, charcuterie, and cheese plates. A three-barrel brewing system (1 barrel is equivalent to 31 gallons) will be onsite, but will mainly be used for making experimental pilot batches and other one-offs to keep the taproom kegs full and to rotate variety. The majority of their beers will still be brewed by the Phantom Carriage team at other breweries, and then brought back to their facility for fermentation and aging. For fermentation, Phantom Carriage will be using large cube-shaped stainless steel vessels (called “totes”) that are quite popular with winemakers, but not widely used by brewers, where conical fermentation tanks are the norm. It may not sound like it would make much difference in the finished product, but Svab asserts that it does indeed introduce a unique character to the style of beer they’re looking to make. “It’s a surface area thing,” he says. For aging, Svab estimates they’ll have room for about 900 oak barrels plus a few larger wooden tanks called fouders. Svab—along with business partner Jackson Wignot and head brewer Simon Ford— debuted Phantom Carriage’s first beer at a few select venues earlier this year. Dubbed “Muis”, the Flemish word for mouse, the beer was a deliciously complex and refined Belgian-style wild blonde ale, fermented with a strain of Brettanomyces yeast that works much more slowly than traditional Saccharomyces beer yeast and produces wonderful funky barnyard-like flavors that many beer geeks—myself included—simply adore. Local L.A. beer fans have likely crossed paths with Svab in the past, as he’s no stranger to the scene. 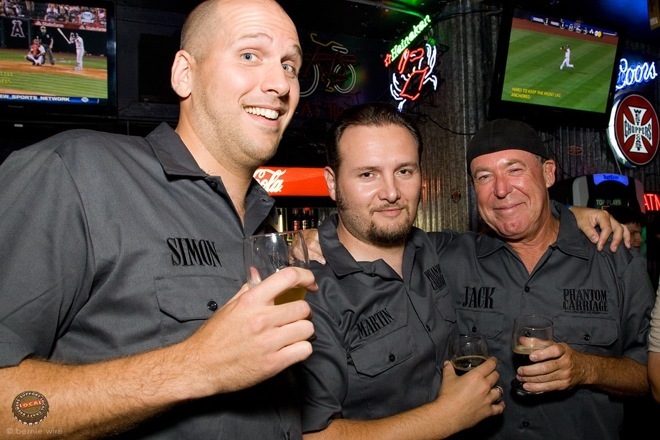 Prior to launching Phantom Carriage, he was the assistant general manager and beer buyer at Naja’s Place in Redondo Beach for three and a half years, and spent two and a half years before that as a Los Angeles sales rep for Stone Brewing Co. He was also part of the Gentleman Scholar brewing project back in 2009 that created Requiem Espresso Stout, a rich marriage of coffee and beer that many beer geeks—myself included—miss terribly. Head brewer Simon Ford himself met Svab behind the bar at Naja’s Place, but quickly learned that both he and Svab were longstanding members of local homebrew club, Pacific Gravity, which ultimately got the initial conversations about Phantom Carriage rolling. Now, armed with their own facility, they’re that much closer to making their dream a reality. Anybody else thirsty? Phantom Carriage, 18525 S. Main St., Carson, phantomcarriage.com. Next articleBehind the Bartender: Christiaan Rollich of A.O.C.